DAY JOB: Video Lead and Co-Owner at R + A. WHAT GETS YOUE EXCITED TO GET OUT OF BED IN THE MORNING: Coffee. WHAT IS SOMETHING YOU CONQUERED IN 2017: Saying no to things (not wine though). WHAT'S SOMETHING YOU'RE GOING TO CONQUER IN 2018: Learning to shut my mind off and just breathe. I think they call that "mindfulness." WHAT ADVICE WOULD YOU GIVE TO YOUR FIFTEEN-YEAR-OLD SELF: Don't worry about that pimple girl, you've got 11 more years of them ahead! WHAT BRINGS YOU JOY ON THE DAILY: The people I surround myself with, good conversations and good wine. WHAT GIVES YOU GRIEF: Bad energy. 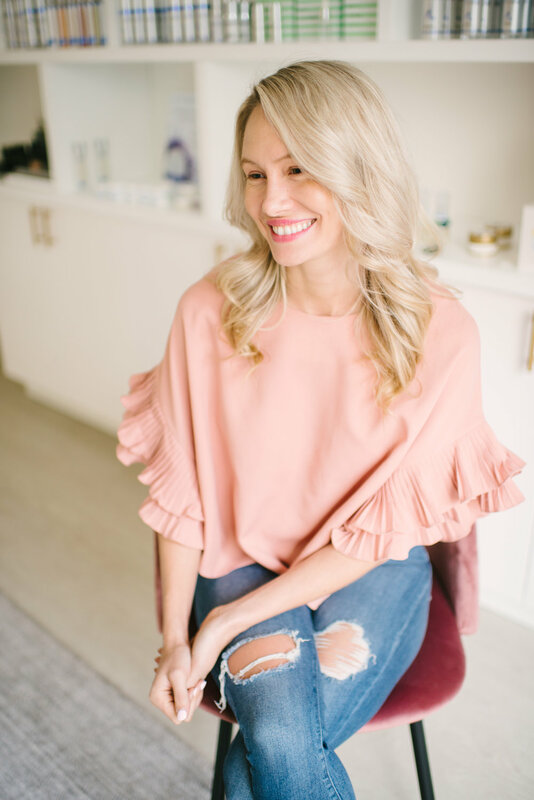 WHAT DO YOU LOVE MOST ABOUT YOUR SKIN: Umm.... how good it looks after seeing Amanda at Glow Therapy! SPILL YOUR SECRET BEAUTY TIPS: I love a good sheet mask... even if they don't do anything. They're just fun! A PIECE OF ADVIDE FOR SOMEONE SEARCHING FOR THEIR GLOW: Oh god hunny, you need to get on it. 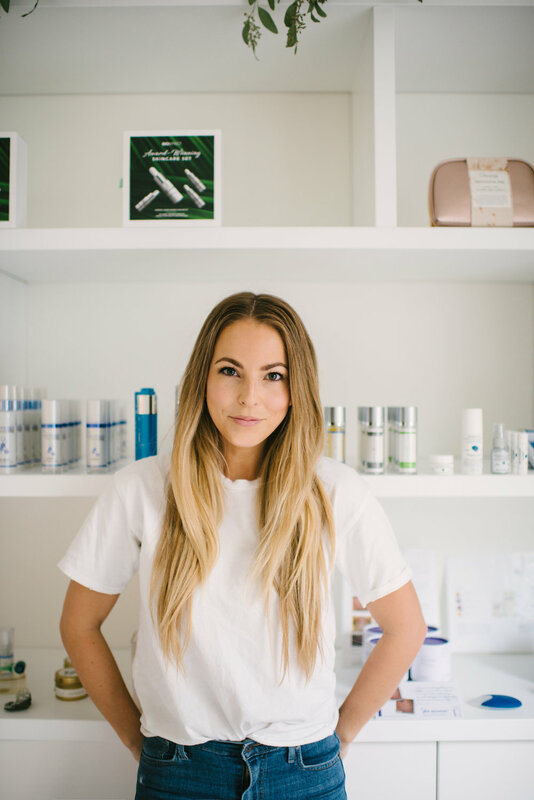 Amanda and the team know everything about skin and it's so important to start taking care of your skin when you're young and get on top of any issues you're already experiencing. Learn more about Hannah and Roots + Ardor at @rootsandardor and @hannahbernardd and go get your glow. Coming soon from us, to you!